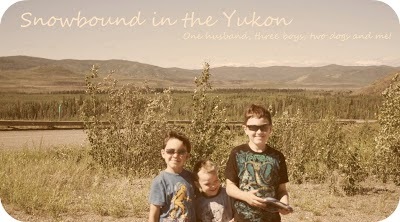 Snowbound in the Yukon: We built this....marriage. I was reading a blog today about a break up and it got me thinking. There is no perfect relationship, some work better than others, some not so much. Even though I say that relationships are hard I don't mean that they should be work. I think there is a conscious decision to be with someone and that you think of that other person when you make decisions. There is always compromise and understanding. You should never keep score with someone and you should learn to forgive easily. You should learn from your partner and teach your partner. Talking is the easiest way to go about that. If something is bothering you, talk about it and don't let it fester. My husband and I have made all the mistakes you can make in a relationship I'm sure. But we've made our relationship and marriage stronger and healthier by going through all that we have gone through because we are committed to one another by our love. When you make a commitment to someone, it's not something you play with and throw away on a whim. Sometimes I have to put myself first or my children but I always go back. Being selfish once in awhile is okay. Hurting someone else is not okay. Sometimes I've said things that I don't mean to say and when I do I apologize not just because I should but because I mean it. I would never intentionally want to hurt my husband, I love him too much and respect him too much to do that to our relationship. Patience in another great thing in relationships. As we journey through our marriage there are a lot of pit stops. Sometimes he's waiting for me to catch up and sometimes I'm waiting for him. That is the commitment we made to each other, mistakes or not. It's so easy sometimes to jump from relationship to relationship but I'm not built that way. Marriage is what my husband and I have built together.